In a taped statement released on Wednesday afternoon, Biden said he will be more mindful about respecting personal space, but did not apologize. Two women have come forward recently to say that Biden’s touching made them uncomfortable: Nevada politician Lucy Flores said he kissed the back of her head during a 2014 political event, while former congressional aide Amy Lappos said Biden pulled her head toward his and rubbed his nose against hers in Connecticut in 2009. In the video, Biden described his behavior as “gestures of support and encouragement” and said that he believed politics was about connecting with people. “I shake hands, I hug people, I grab men and women by the shoulders and say ‘you can do this,’” he said. Biden’s video message comes after a weekend statement about the Flores allegation in which the former vice president, through a spokesman, said he did not recall the kissing incident. 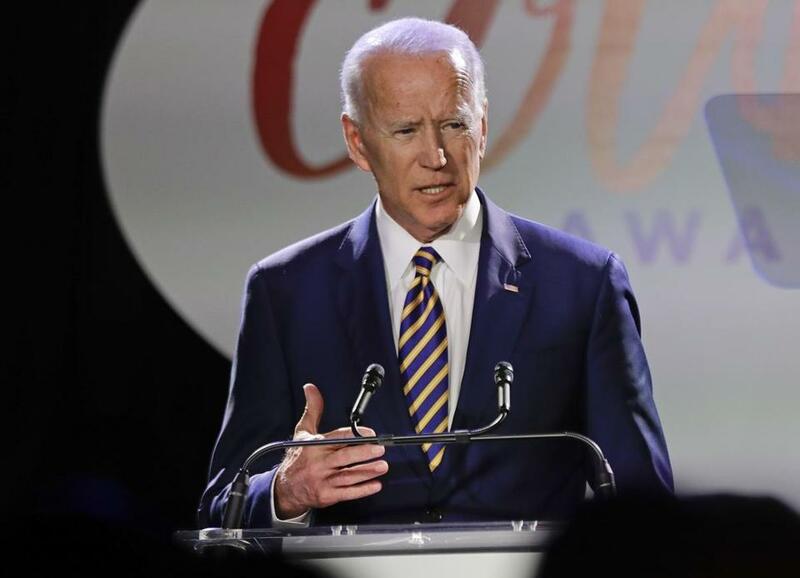 Biden also alluded to expectations that will soon join the 2020 presidential race, noting that he’d be speaking about “a whole lot of issues” in the coming month. Christina Prignano can be reached at christina.prignano@globe.com. Follow her on Twitter @cprignano.